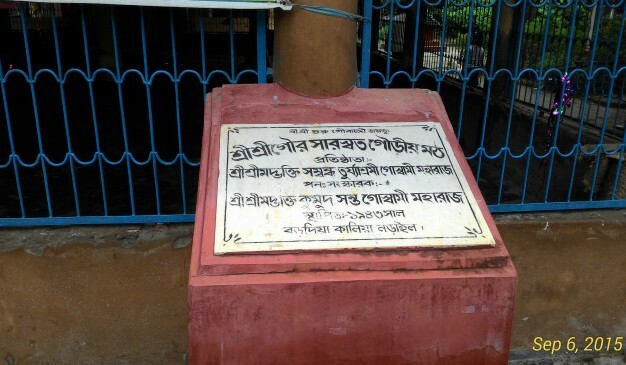 Gouri Moth (a sacred place dedicated to the culture of Krishna lifestyle) was established in 1943 in Barodia, Kalia, Narail. After a couple of renovations, it is still there to welcome the devotees of Lord Srikrishno. There are some other Gourio moths in entire Bangladesh too. 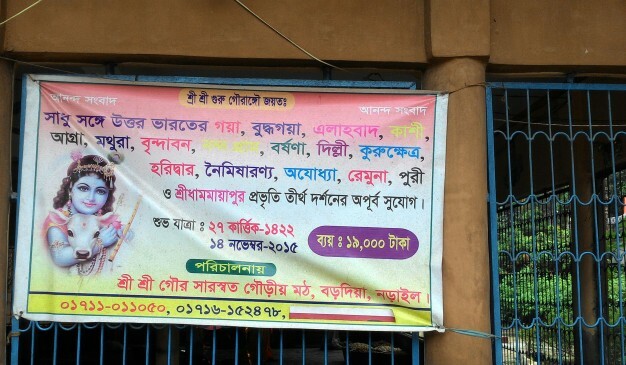 The most prominent one is in Dhaka at Narinda/Wari area. In 1943, Turyaswami established the original temple after which he put the idol of Radha-Krishno in it. 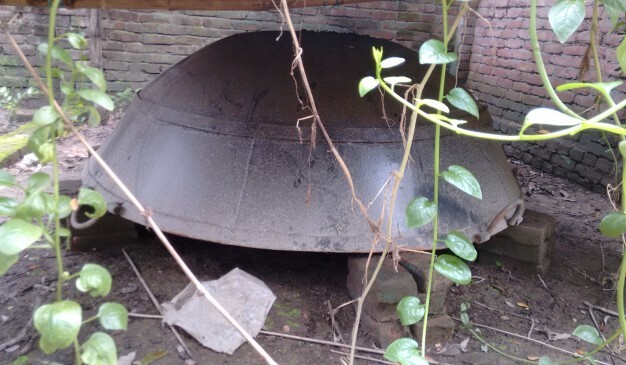 In 1971, during the liberation war of Bangladesh, Pakistani Army destroyed almost everywhere temple in Bangladesh but luckily the Narail area was a base of Bangladeshi Freedom Fighters so that they did not manage to destroy the temple. However, the temple needed renovation, so another Guru (religious preacher) Santo Goswami made a reconstruction of the temple complex. 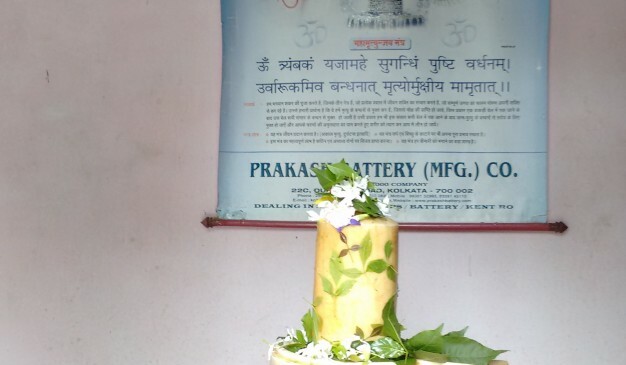 25 years ago, from Rajstan (India), a White Shiv Lingam has bought in here. Now it is a Shiv Temple too and people come to worship the lingam. It is made of White Marble which is only one of the tenth of its entire criterion in Bangladesh. To see another marble made white Shiv lingam, you need to visit the Rajshahi Barenda Museum or Khulna Divisional Museum. Few years back, idol of new Radha-Krishno was brought into this temple as well. So, now the temple looks almost as a new structure but many people did not know that it is a historical place and also a heritage sight of Bangladesh especially for the hindu religious people. It is basically a Krishna Temple that means they worship Krishna mainly. In every year during the eve of Krishna’s Birthday (Jonmastomi) they arrange a three days program to celebrate it. About 1000 local Hindu people attends the dinner (bhog/prosad) and they sings the holy krishna songs for the entire night. The moth is Situated at Kalia Upazila. The means it is a bit far from Narail Sadar. Easiest way to reach there is to use the Mongla highway. Otherwise, anyone can reach there from the sadar by local auto-rickshaw. Narail lacks high quality accommodation facilities and requires improvement in this sector. However, some of the places, you may consider staying in are listed below for your assistance. 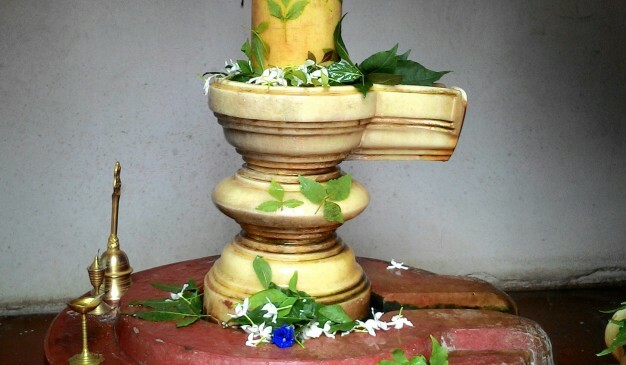 If you are a Hindu devotee then you might worship the Linga. 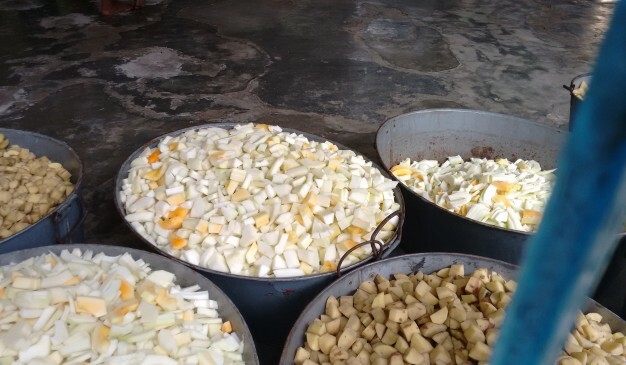 Otherwise you see the Very Large Pan to cook food of hundred people. 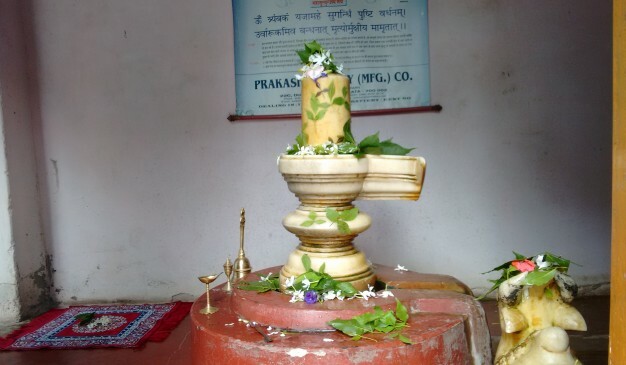 It is one of the places where you will see a White Shiva Linga. To see other Marble made lingam you need to go to the Rajshahi Museum or Khulna Museum. 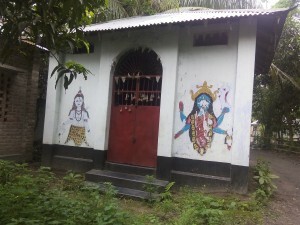 Vatodara Shiv Mandir (ভাটোদাড়া শিব মন্দির) is located in Dighapatia near the Dighapatia Rajbari. This temple was established near a 100 years ago, as the local says. Whereas, Vatodara Kalibari, mainly uses for worshipping in various occasions, was built recently. In various occasions like Durga Puja or Kali Puja, people from Hindu religion of this locality greatly celebrate their rituals here. 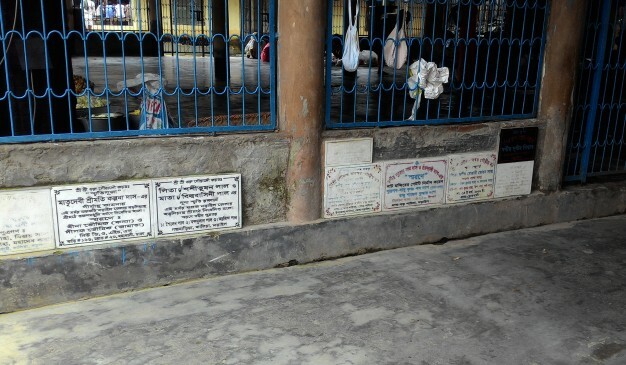 Although, Vatdara Shiv Mandir remains almost dysfunctional and out of care, people of the area largely come and worship in Kalibari. Gunjanath Temple is located in Boro bazar of Kaliganj Upazila of Jhenaidah district. 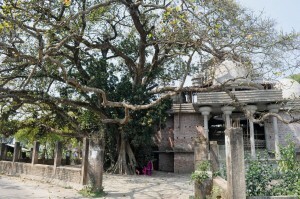 The Gunjanath temple was built in 17th century by the then King in Kaliganj Upazila. 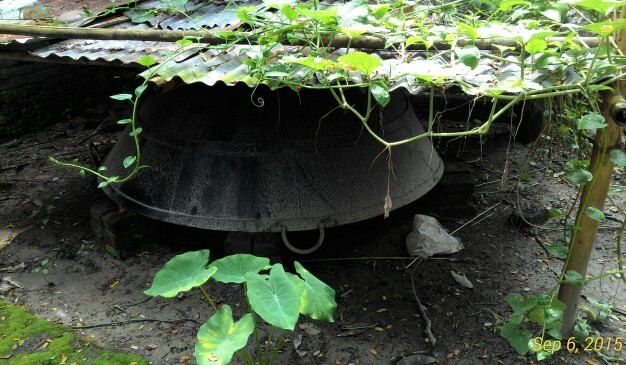 There are other old temples in that locality. This place can be reached from Naldanga also. Fegnasar Shiva Temple (ফেগুনসার শিব মন্দির) was built in the reign (1159-1185 AD) of great King Bollal Shena. Another conception said, it might be built between 1725-1758 AD during the reign of King Raj Bollov. In course of time, it was on the way to destruction. Then, Moharaja Raj Bollov took some initiative to reconstruct that. It can not be assured who particularly built that temple. King Ballav was a great devotee of Shiva. This temple is in rectangular shape at base,measuring 15 feet length,10 feet width and about 25 feet high from the ground. Very common constructing material like bricks, cement and limes being used to build that temple. At the last day of full moon night in every Bengali month of Falgun, there is a large festival of worshiping being held here. There are so many stories being populated among common people about the builder of that Temple. 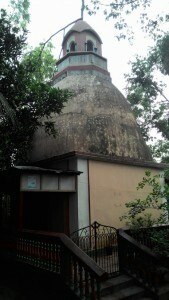 Inside the temple, there is a large "Shiva Lingha" (শিব লিঙ্গ) (Phallus) placed. 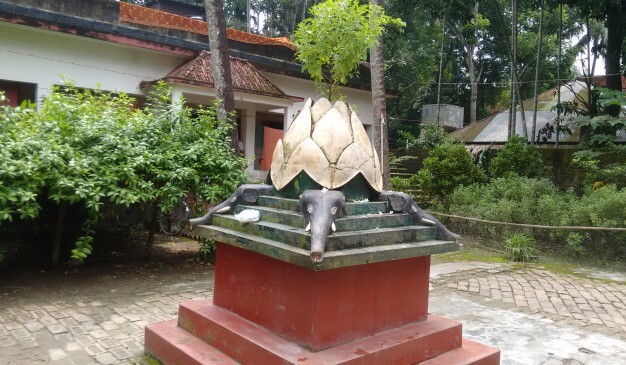 According to the local people, this is the largest phallus brought from South India (not true at all,because largest one is located at Faridpur District). Just about 100 meter away, there is a branch of Dhaleswari river flowing. Chinishpur Kalibari (চিনিষপুর কালীবাড়ি) is one of old temples and a sacred place of worshippers in Hindu religion. So far from locals, it is almost 250 years old temple which was built by Hindu Saint Ram Proshaad (রাম প্রসাদ). He got financial support and land from a person name Ramkrishno Ray (রামকৃষ্ণ রায়) who was a Dewan (দেওয়ান) of G.P. 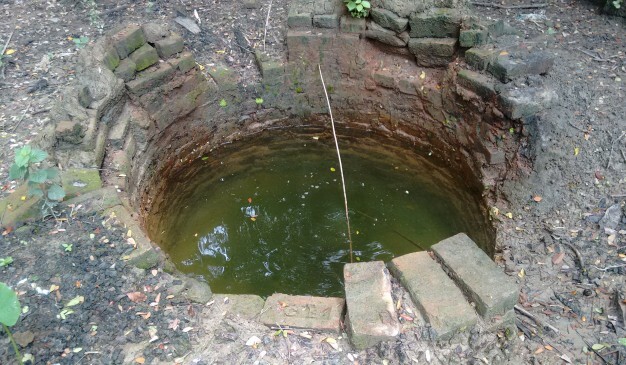 Wize (Last Kuthial of Atkandi Nilkuthi). He built this temple with stones & bricks. 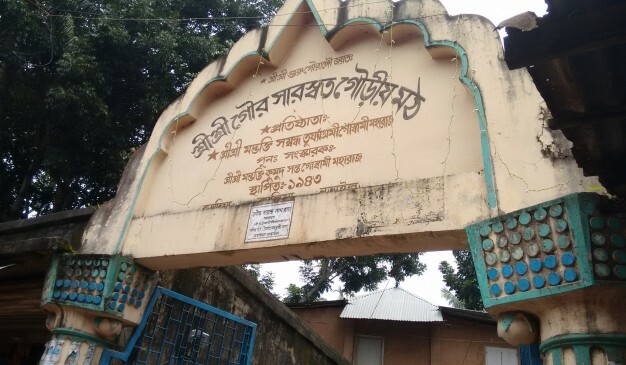 After founding this temple he got married to a local girl who was resident of this region and was daughter of another Hindu Saint named Narayan Chakrabarti. Then he stayed there beside the temple for his lifetime. The exterior of this temple is decorated with flower and animal iconic figure. Total layout of this temple is in rectangular shape. In the inside of the temple, the Icon of Mother Goddess Kali is kept in North-side of the brick wall which is probably very ancient, and the Stela is made with stone. In the front side of this ancient temple, there is a another temple of Shiva. A big Banyan tree is standing just beside this temple. May be it is the same years old as this Temple is. In the western side of this temple, there is a large pond. This temple becomes so festive in every year at new moon of Bengali month Boishakh (বৈশাখ) and Joistho (জ্যেষ্ঠ), While a local fair is celebrated lasting for 3/4 days at the Temple premises. People from distance come to watch this local fair which is a place of extensive collection of local arts & Crafts. For the people of Hindu religion this fair is very important event and they usually don’t miss it. Another attraction of this temple is every year at the time of fair there are a huge number of billy goats is sacrificed in front of Kali Goddess to make her satisfied with the blood of animals. In course of time this tradition is losing its popularity as many rich people of Hindu Religion had left the country at the time of dividing Indian sub-continent in the year of 1947. Very recently a gigantic temple is being constructed outside of the main building of this temple & it is totally covered with the new gorgeousness. Hopefully, it will be one of the most exclusive and gigantic Kali Temples in Bangladesh. Nearly, 80 million BDT will be spent to build this Temple.